Do you always kill your worms? Then try worm farming with our easy DIY worm tower! Today we want to share our really easy How to Make Your Own Worm Tower video. In just a few minutes you will learn how to make your very own DIY worm tower. And the great news is it can be made from scrap materials! When you farm worms in the ground with one of these worm towers they are much less susceptible to heat stress which is the number one killer for worms! Furthermore with this tower your worms will come and go from your garden beds, spreading their castings for you as they go! And that’s it! Follow along with the video above to see how easy it is to create your own DIY worm tower. The plans for this worm tower are featured in the latest issue of Pip Magazine! Plus all the other great articles jam-packed into this issue! The retrosuburbia movement and how you can better achieve a work/life balance. Hear from refugee gardeners across the country, visit some amazing permaculture properties (including our very own Pip HQ), and get the low-down on tomato preserving. There are growing tips to suit your climate, with advice on small spaces and a look at verge gardening as well. You can also get crafty, whipping up some natural hair products and plastic-free solutions, or make new friends with your own street library. Subscribe now to get it and read even more about worms. 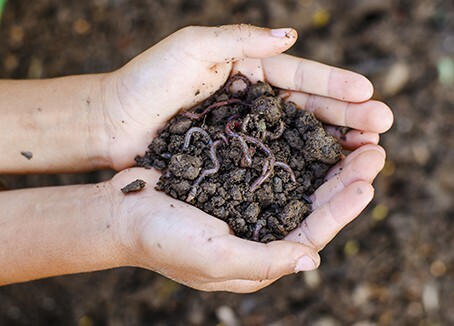 More great information about Worm Farming is in Urban Farmer by Justin Calverley & CERES. He has a whole chapter dedicated to worms & worm farming PLUS soils management, how to grow certain types of veggies and fruit species, bush foods, chooks AND simple permaculture design. Check that out here. We have a large open container 1.5×1.5m which we’ve used for composting and have introduced worms. We’re a little worried tha our worms are dying, that they’re too susceptible to heat stress vs being directly in the ground. Lots of other small bugs etc are doing a great job of composting but haven’t seen worms for a while. Any advice to keep them cool in the weather’s warm weather? I recommend layering up more matter on top – prunings, grass cuttings etc. At least 1 foot deep. See how that goes. If they are nice and deep they can have their pick of which soil depth they hang out i to ensure their survival. This worm tower idea might suit you if you are good at killing them because they have the same level of control over their own environment, temperature and needs to survive. Great post but SO ugly! There are more attractive options. I have one made from an upturned length of terracotta pipe (old sewer pipe) with a terracotta dish on top filled with water for the local birds. When I have worm food (scraps) I tip the old water into the pipe and add the food. Then I refill the bird bath. The whole thing looks really beautiful. I also have one made from a plastic bin with a fitted lid. This has large holes drilled in the bottom and tiny holes drilled in the lid for drainage and ventilation. It’s half buried under my avocado tree (gross feeder) and uses both resident compost worms and visiting earth worms to nourish the tree. It’s in an area where we entertain so food waste from parties can go straight into the worm hotel. Does the terracotta pipe need to have holes in the sides under the ground or do the works just climb on up through the bottom? Thanks for your questions. Firstly yes. If you want the worms to go out the sides they will need holes, but that can be pretty tricky with terracotta. One could have the PVC pipe with side holes in the ground and fit a terracotta pipe into or over the plastic to make the whole thing more aesthetic? That would be one way to resolve both issues. Here is a another way of building one and useful tips on household composting. http://nirvanafarmblog.blogspot.com.au/2009/02/cool-worm-farms_6.html They can be made attractive to blend in to the garden. I have also made a larger version out of a 200 litre drum.The first one I made for my neighbour did not seam to work until I put a damp sack over it befor putting on the lid … and hey presto the worms started munching. It can be messy pulling up a damp sack so I have installed a little ‘pillow’ made of shade cloth stuffed with some insulating cloth and added a handle of used polly pipe. It fits snugly into the top and keeps in snug for the worms.